It might sounds like pretty heavy philosophical stuff but, at its ragged, windswept core, Where The Water Tastes Like Wine is a game that wears its heart on its sleeve. It’s about the power of stories and how much of that power is owed to the truths contained within them. We spoke to the lead developer behind the project, Dim Bulb Games’ Johnnemann Nordhagen, to learn more. I'd like to start by asking you where that initial idea for the game came from. Out of curiosity are there any stories from your own travels that made it into the game in some capacity? So, from that initial idea what was the biggest development from that initial idea to the final release. What do you think was the biggest change that really cemented what the game became? What that process was like? Did they have much control over where those characters' stories were ultimately going? Who is your favorite writer to work with? What advice would you give to another indie developer who might attempt a similar sort of multi-authored project? Do you think this kind of anthology story-telling is something that you would want to revisit with another project? The way Where the Water Tastes Like Wine looks and sounds is also very important to the experience, can you talk to me about the tone you were trying to set here and how you sort settled on the final look. More specifically, where did the skeleton avatar you play as come from? Sting is in this game? How did that happen? Last question - I played through Where the Water Tastes Like Wine at the same time as I was reviewing Kingdom Come: Deliverance and it's really interesting to see the striking difference in the way that they approach the representation of history. Can you talk me through your thoughts on how we represent history and what historical realism means in games development? 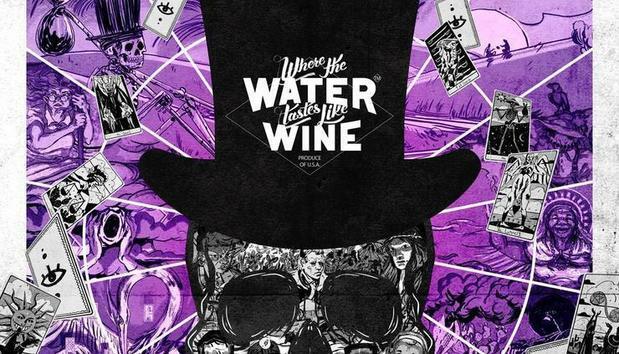 Where The Water Tastes Like Wine is available on Steam now.